Last week Ilyes and I introduced campers to famous and inspirational artists of abstract art such as Wassily Kandinsky, Piet Mondrian and the one and only Pablo Picasso. 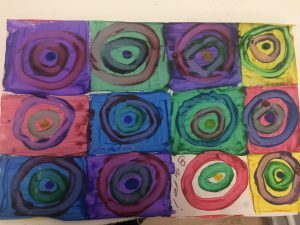 Campers started th e week by learning Kandinsky’s style, they made multiple squares on a sheet of paper and drew concentrics circles in each. 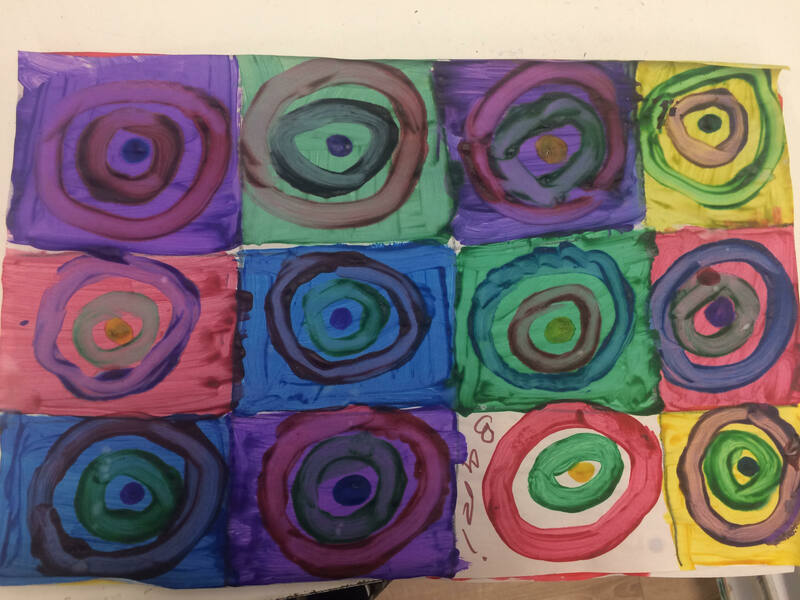 We told them they can use different color paint for each circle. They had a lot of fun. It was really enthralling to see how they enjoyed making geometric forms (squares) and using different color. Likewise, Mondrian’s style was much easier for campers. It was all about squares and rectangles of different styles. 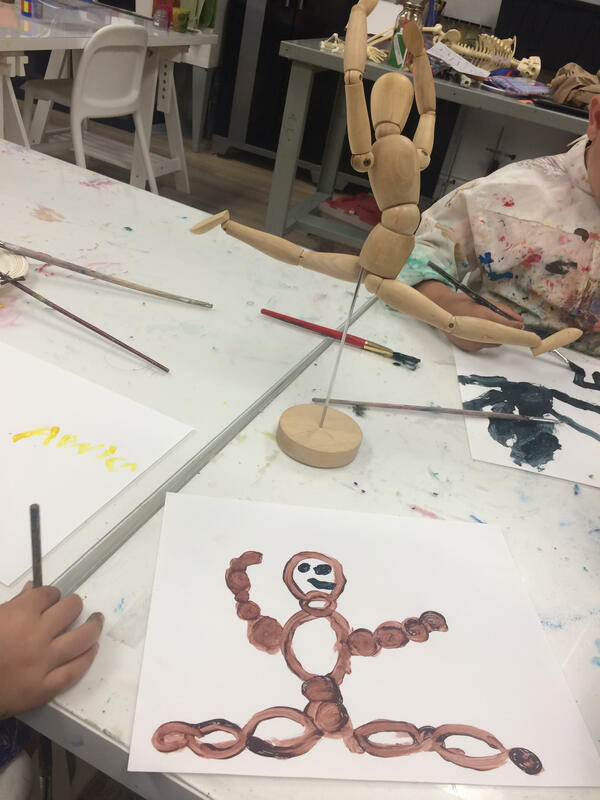 Our campers showed a lot of creativity! In mid-week, we challenged campers to reproduce as they could a wooden mock up. They turned out finding this activity a little bit rewarding, but they took up this challenge and were so proud of them. As Kandinsky once said: ‘’ everything starts with a dot’’. No Comments on "Famous Art and Math Connections"